Albany Records is devoted to music by American composers (with a few notable exceptions) performed by the best of America’s artists. 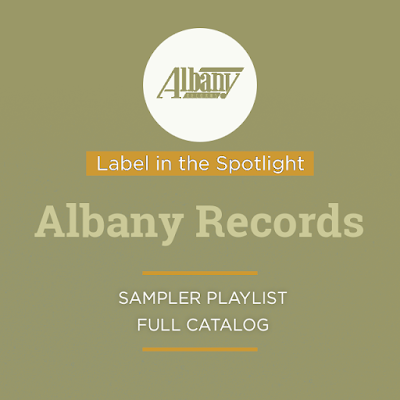 From premiere recordings of orchestral music by Roy Harris, Morton Gould, and Don Gillis to music by George Lloyd and Andrei Eshpai, there is something for everyone on Albany Records – provided your interests are just a bit out of the ordinary. Albany Records is also the sponsor of Glissando episode 1.5 with special guest Marin Alsop. 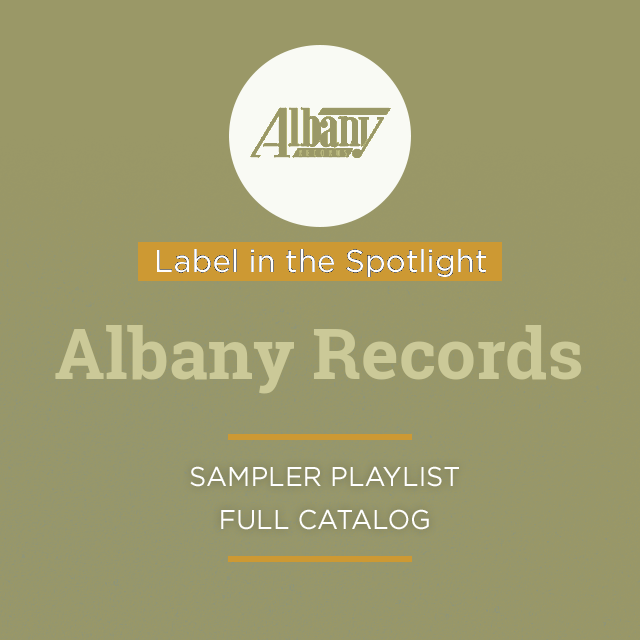 To hear a sampler of recent Albany releases, access NML as usual, go to the Playlists section, and select the Label in the Spotlight folder under the Themed Playlists tab. You can also access it via the rotating banners. If you are on your institution's premises, you may also be able to access it if you CLICK HERE.